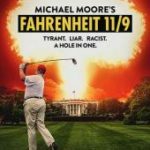 Michael Moore’s latest documentary should make fans of his past efforts to champion a progressive agenda quite happy (for the most part). He talks bout the 2016 election and how it was a sure thing for most pundits, pinning the blame for Trump’s entry into the fray on, of all people, Gwen Stefani. This is one of several instances where Moore uses his humor and sense of editing timing to great effect. Moore know the outcome would be different from the pundit predictions, in great part because, as a native of Flint, Michigan, he had a front row seat to the appalling lead poisoning of the town’s water supply and the subsequent cover-up by the state’s Republican Governor. Moore takes plenty of shots at Trump but, at the same time, his harsh take on President Obama’s treatment of the Flint crisis will be uncomfortable viewing for the “Choir”. The net result being the working class people of Michigan would either give up on the Democratic Party or vote for the untested alternative, Donald Trump. Moore shows how important, he feels, that the country mobilize, to fight perceived injustice: highlighting, for one example, the Stoneman Douglas High School kids and their grassroots fight for stronger gun safety laws. He warns against hyper Nationalism by drawing comparisons to the rise of Hitler’s Nazi Party in the 30’s, with it’s virulent anti-Semitism, and suppression of a free press, to the potential for the destruction of our own Democracy. The net effect of the film can be to either throw your hands up in despair or to act on your convictions, one way or another, and vote. Rated: R for Strong Language, Violent images.